ISI stands for Indian Standards Institute. It was established to create standards for the orderly industrial growth and maintaining quality in industrial production. It provides an ISI mark which is a certification mark for industrial products in India. It is the most popular and recognized certification mark in the Indian subcontinent. This mark ensures that the product conforms to the Indian standards mentioned by Indian Standard Institute. The ISI was established on 6 January 1947 and Dr. Lal C. Verman became the first Director of ISI in June 1947. Today, ISI is now known as BIS (Bureau of Indian Standards). It lays down the quality standards for consumer and industrial goods. It checks the quality and standard of every product and provides them a certification mark. BIS is authorized to offer certification by a legislation of 1986. ISI mark is mandatory for certifying products to be sold in India. Any manufacturer whose product meets the BIS standard can apply for ISI product certification. There are many products with fake ISI marks in the market. They use ISI marks on the product without actually getting it certified. So, you must be very careful to choose the products. Fake ISI marks don't carry the mandatory 7 digit license number. There is an IS number on the top of the ISI mark which signifies the number of the Indian standard for the particular product. 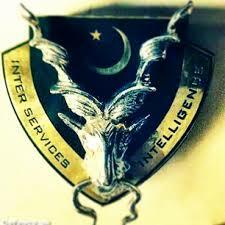 ISI stands for Inter-Service Intelligence. It is an intelligence agency in Pakistan. It is headquartered in Islamabad, the capital of Pakistan. It is a premier intelligence service, responsible for providing intelligence assessment and national security in Pakistan. The current (As of October 2017) Director-General or head of ISI is Naveed Mukhtar. In 2011, ISI was ranked the top intelligence agency in the world by the International Business Times. Although Pakistan also has other military and civilian intelligence agencies, the ISI is certainly the most powerful and most politicized among them. After the independence, two intelligence agencies are created in Pakistan: IB (Intelligence Bureau) and MI (Military Intelligence). But after the poor performance of these two agencies, ISI was founded in 1948 for intelligence gathering and sharing it among armed forces: the army, navy and air force. In 1950, it was officially entrusted the task to safeguard the interests of Pakistan and security of the nation inside and outside the country. 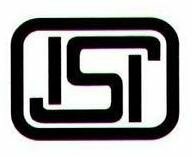 ISI stands for Indian Statistical Institute. It is a university located in Kolkata, West Bengal. It has other branches in Delhi, Bangalore, Tejpur and Chennai. It was founded by Professor P.C. Mahalanobis on 17 December 1931 in Kolkata. ISI achieved the status of an Institution of National Importance by the 1959 act of the Parliament. ISI is one of the oldest and most reputed institutions in the field of Statistics. It is totally devoted to the research, teaching and application of statistics, social sciences and natural sciences. There are many courses offered by this university like Statistics, Computer Science, and Mathematics. This university is approved by UGC, NAAC and AIU.